Adani Shantigram The Meadows: Welcome to a world of premium luxury and divine comfort for a modern-day lifestyle of pure delight! Ahmedabad, (also called Amdavad, Ahmadabad or Ahemdavad), is not only the largest city of Gujarat but also the fifth most populous city in India. Located on the banks of the Sabarmati River, 30 km from the state capital Gandhinagar, (which is its twin city), the city is famous for its amazing infrastructure, commercial spaces, historical landmarks, education institutes and more. Declared in July 2017as India's first UNESCO World Heritage City, Ahmedabad today has emerged as an important economic and industrial hub in India. Not surprising then that the city is witnessing high-pitched developments of several residential and commercial projects in different parts of the city and its outskirts as well. 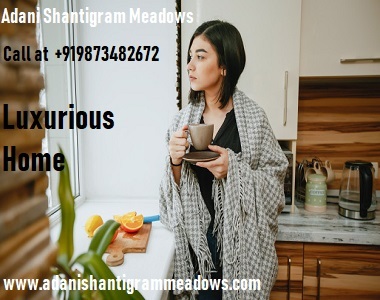 One such development that stands out from the crowd is the Adani Shantigram the Meadows, a new project in Ahmedabad which is a part of the popular 600-acre township by Adani Realty that goes by the name of ‘Shantigram’. Offering premium luxury and comfort, the residency promises to satisfy you and every member of your family. Extended over vast acres of land, this residential project contains mega structures that offer 2BHK, 2.5BHK and 3BHK flats that are crafted to perfection. With large apartment area sizes, luxury space for all your needs and requirements is what you will find in every apartment. Adani Shantigram The Meadows Ahmedabad is packed with impeccable features of pure luxury and wholesome goodness. Surround by lush greens, this development is where you can find it all! The apartments are beautifully designed, well-spaced and contain high-end fittings and fixtures, premium flooring, plush doors, wide balconies and large windows providing jaw-dropping landscape views, electrical ports located perfectly for convenient access, elegant kitchens with multiple facilities and high-quality counters, safety features and so much more. Once you get in, you will never want to get out! This development also offers an extravagant range of external amenities that will always keep you fit, active, happy and entertained each and every day. 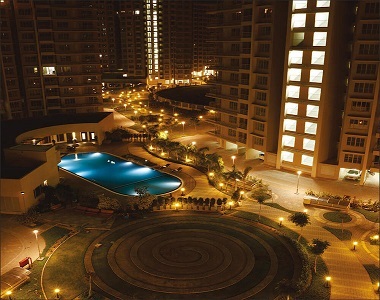 The external amenities at this development include a lavish clubhouse for recreation, well-equipped gymnasium, swimming pool, meditation centre, large football field and other sports facilities, cycling track, shopping centre, multipurpose hall, gorgeous landscape garden, wide open space, pedestrian track, well-planned security for an uninterrupted lifestyle and the list just goes on. This development also provides solar-powered street lights and takes-up sewage treatment for a better environment. 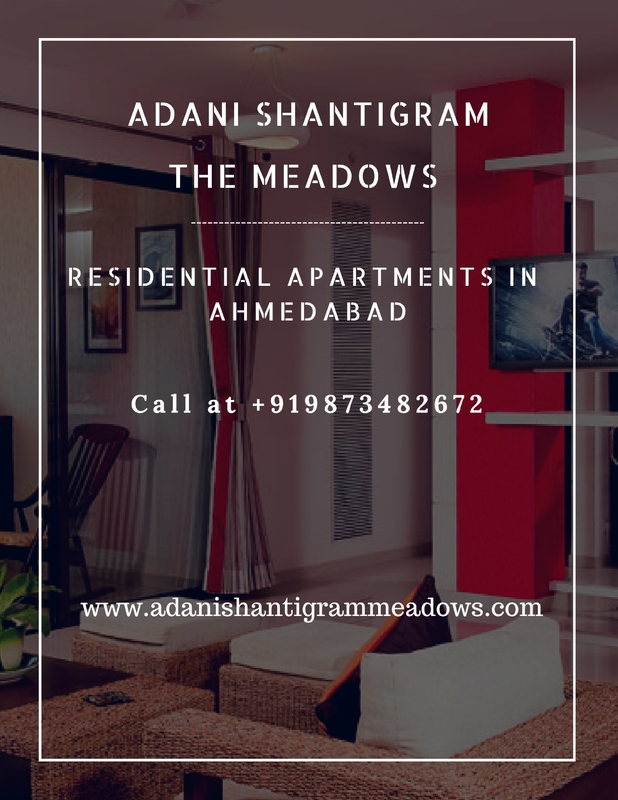 Located at Shantigram, S.G. Highway in Ahmedabad, Adani Shantigram The Meadows S G Highway comes in close proximity to a number of landmarks that can be accessed in the shortest amount of time possible. Places like schools, institutes, hospitals, medical centres, banks, ATMs, supermarkets, convenience stores, shopping centres, restaurants, cafes, cinemas, public transport and a lot more are just a hop, skip and jump away! No place is too hard to find when residing at this development. 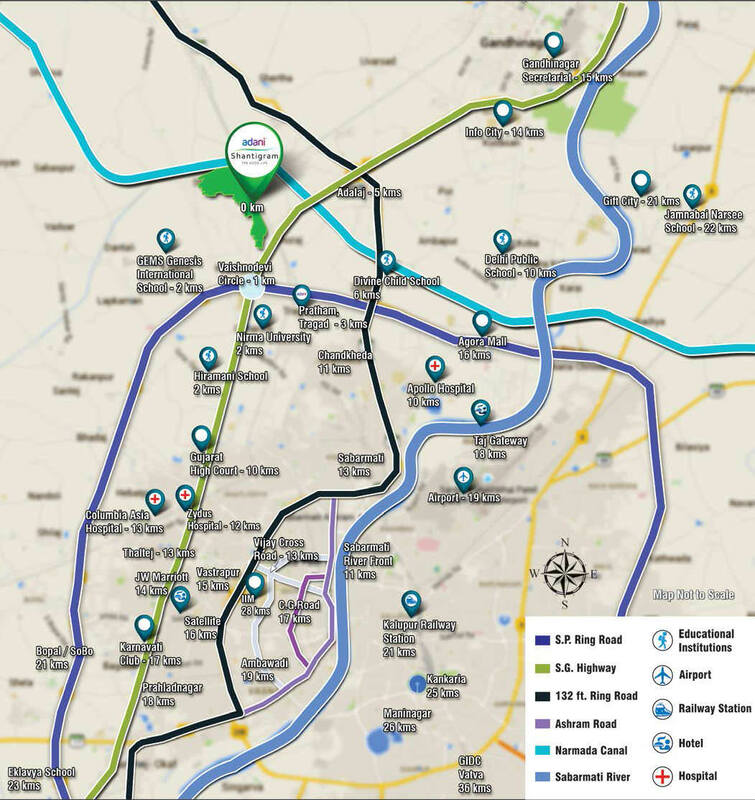 If you are willing to invest in the Property in Ahmedabad , this is the best time for you. Adani Realty offers premium luxury and comfort that will fit your budget perfectly. Without a doubt, an apartment at this development is definitely worth your savings and will be loved for generations to come. You can conveniently choose from multiple payment plans along with home loans at low interest rates, NRI services and more. Come, explore the life of premium luxury, comfort and class like never before!